Shred carrots, kohlrabi, and radish.Dice jalapeño and chop up scallions. Mix everything in a bowl. Start with less of the mayo and add more if it seems too dry, but be sure not to overdo it! Allow to sit at least an hour so the flavors can combine. Serve cold. 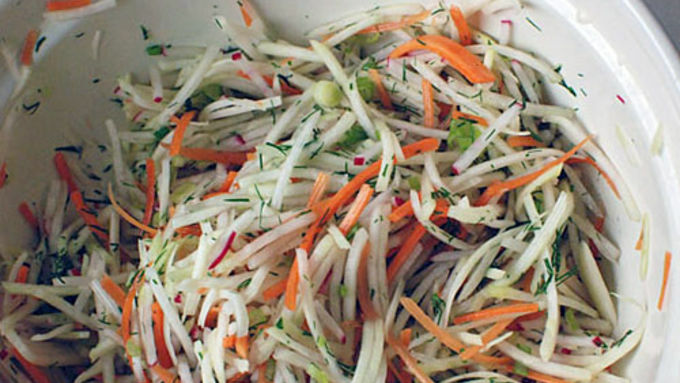 I have been making slaw out of pretty much anything and everything this summer. I got tired of the standard mayo-laden cabbage coleslaw. 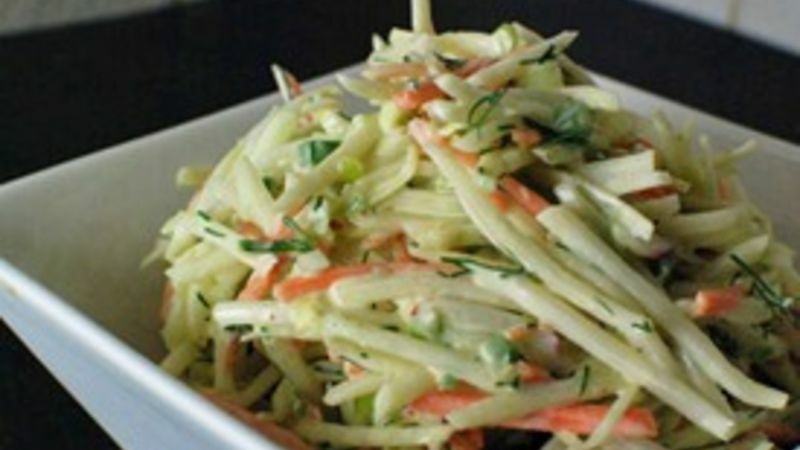 So far, my favorite variation has been this simple “kohl-slaw” that features the misunderstood vegetable kohlrabi and the underdog of herbs: dill. It comes out fresh, delicious, and crunchy. Perfect for your next BBQ! 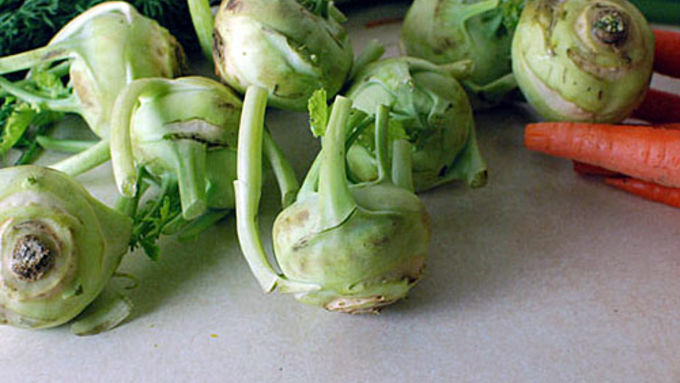 Kohlrabi is a fun-shaped veggie! The texture and taste is sort of a cross between broccoli stems and parsnip. Pick it up this time of year at any farmers market. 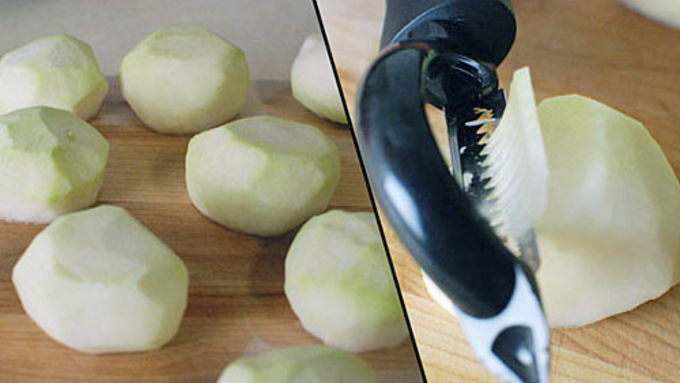 For peeling and shredding the vegetables I love using a julienne peeler. A food processor works too, but using a peeler like this gives the final product more visual appeal. Then after adding scallions, dill, and jalapeno, mix in some mayo, mustard, vinegar, and sour cream and this slaw is ready to go! I served it on some pulled pork. 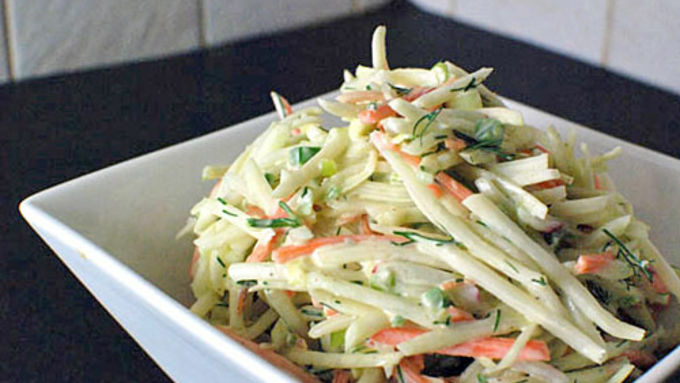 It goes great anywhere that cole slaw works!